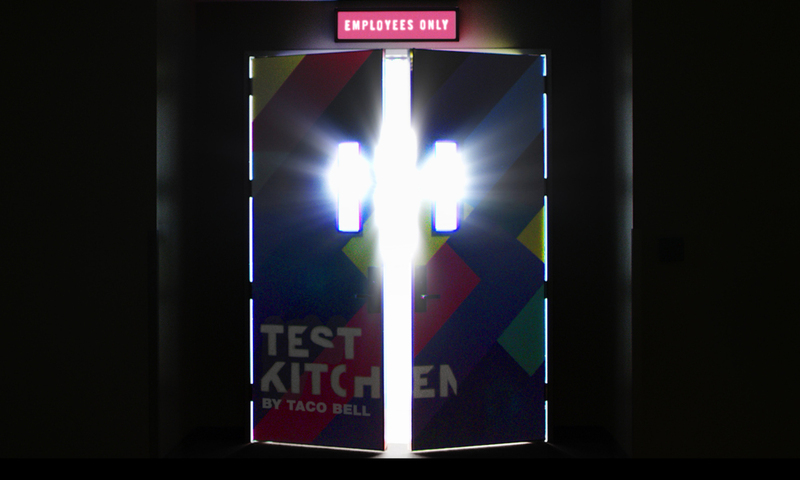 Taco Bell opened it's secret stunt food kitchen/laboratory/nacho cheese lair at its Irvine, California headquarters to the public with reservations via OpenTable. Those who scored a table got an exclusive dinner created by T-Bell's top chefs and sour cream gunslingers, including new twists on classic menu items as well as never-before-seen products and new insane food creations before they were available to the public. Taco Bell teamed up with Lyft to offer a new service that enables passengers to request a stop at a Taco Bell drive-thru with just the push of a button. 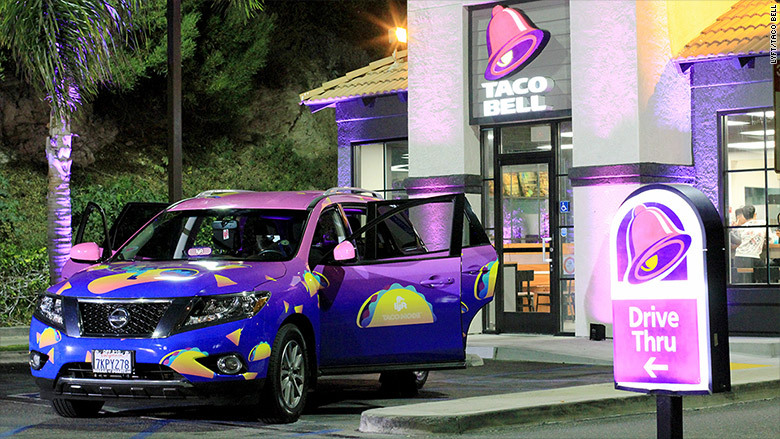 Taco Mode allowed well passengers to order drive-thru Taco Bell, Taco Mode also includes a custom in-car menu, free Doritos Locos tacos, and a ride in what the company calls a "taco-themed car."